104 days is at last coming to an end. Today, as it preps to air its series finale, we say goodbye to the show that forever changed Disney Television Animation. Phineas and Ferb premiered on Disney Channel immediately following the debut airing of High School Musical 2 in August 2007. (So basically it was the greatest night of Disney Channel broadcast history, right?) The pilot episode, “Rollercoaster,” served as an archetypal reference point which would continually infuse itself into the series. After a six-month pause, the series officially kicked off with “Ferbruary” in February 2008, which saw a new episode every day for the entire month. At the time, lackluster animated programming from Disney created low expectations. It became clear quickly, though, that this was an entirely new breed of children’s television. By word of mouth from kids and adults alike, the show took off at lightning speed. The program is inherently repetitive, but intrinsically likable. Every day of summer, Phineas and Ferb use their imaginations to build something great. Every day of summer, Candace wants nothing more than to bust them. Every day of summer, Mom gets home just as the contraption is whisked away. 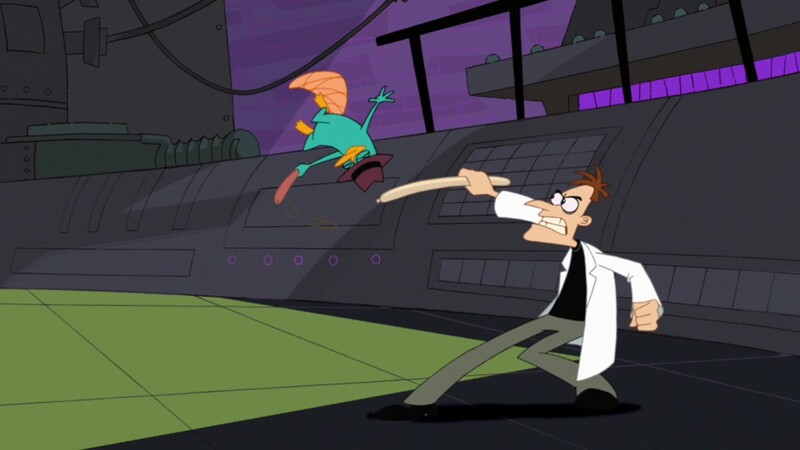 Every day of summer, Perry the Platypus becomes Agent P to thwart Dr. Doofenshmirtz’s boneheaded scheme. So what makes this show something that lasted almost eight years? For one, its humor is a specific style that balances effectively cartoony visual gags with blink-and-you’ll-miss-it hilarious dialogue. Each script is laced with quick one-liners whose brilliance comes in the way they are barely acknowledged among the wild visuals at play elsewhere in the story. The chemistry between Ashley Tisdale’s crazed Candace and Caroline Rhea’s dry-delivered Mom is perfect. The wittiness of Ferb’s rare speaking parts is clever. The sheer idiocy with which Dr. Doofenshmirtz constantly fails to Agent P mirrors the funny antics between Captain Hook and Peter Pan: a never-ending cycle of villain versus hero where no true danger is ever really present. This charm soon became widespread to be Disney’s next big phenomenon. In an era when Disney influence was ruled by popstar-driven vehicles like Hannah Montana, for an animated series to create such unanimous adoration was remarkable and admirable. 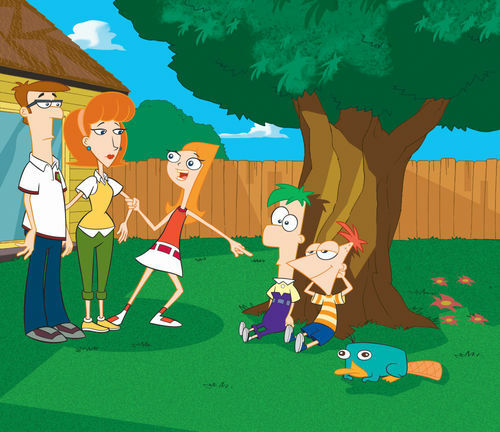 Before long, Phineas and Ferb had just as much of a presence in the Disney universe as any one of the studio’s animated films (even more so for some during the time). Their merchandise lined shelves. A Phineas and Ferb stage show toured the country. The brothers, along with Agent P, were the most in-demand characters to meet in Disney’s theme parks. Their Christmas special aired not just on Disney Channel, but in primetime on ABC. At one point, there was even a mini talk show with an animated Phineas interviewing live-action celebrity guests. A theatrical film was proposed and reportedly written by Toy Story 3‘s Michael Arndt. Disney slated the project for a July 2013 release before delaying and eventually canceling it. 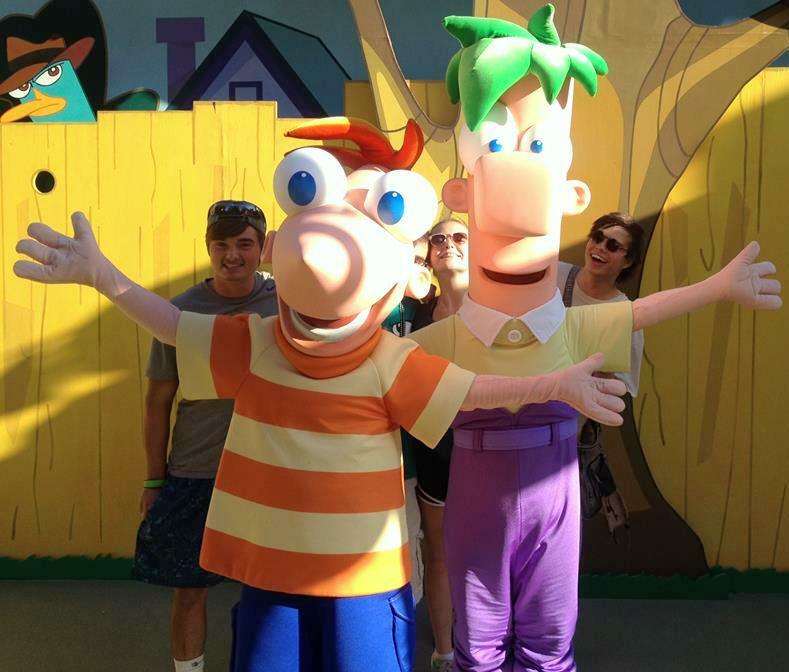 Finally meeting Phineas and Ferb was one of the highlights of my family’s Disney vacation last year. At the height of its popularity, the show received its own Epcot attraction, and I must say I was blown away by this experience. It’s called Agent P’s World Showcase Adventure, and it’s an interactive experience that uses Epcot’s country pavilions as the backdrop for catching Dr. Doofenshmirtz in an international escapade. Each guest receives a phone-like device that allows them to become a secret agent, follow a mission, and actually make things happen around World Showcase. The previous version of the attraction, themed to Kim Possible, did this, as well. But the Phineas and Ferb iteration takes things to the next level in a way that literally puts the guest in the middle of an episode of the show. Each Epcot pavilion acts as a new episode, and as you complete your mission, you’re smack dab in the middle of Phineas and Ferb‘s world. The clever monologue from Dr. Doofenshmirtz is here, the things you do inadvertently connect with a project the brothers are working on in the same country, and inevitably your actions make their creation disappear before Mom sees it. Most of this is a merge between animation on your phone device and real things happening around you. For an average theme park guest, it might not all make complete sense and admittedly gets a bit long-winded, but for fans of the show, it’s a real treat. I was thoroughly impressed at the level of detail to make each mission feel like its own episode of Phineas and Ferb that I could be part of. 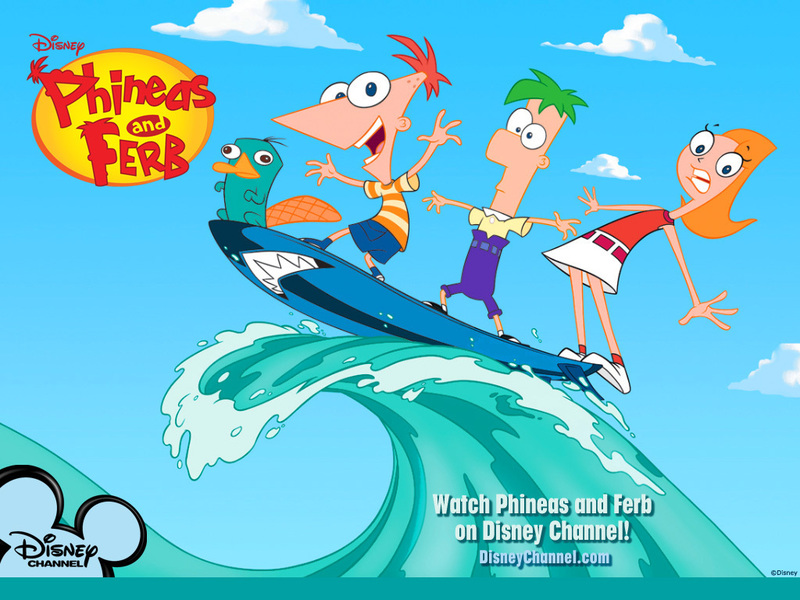 Many people feel that same attachment to Phineas and Ferb, and the show itself even has a distinct appreciation for its own history that rewards longtime fans for their viewership. Each season has its fair share of specials, from non-sequitur role-playing (like seeing the cast in prehistoric times or part of Star Wars) to spoofs of itself (like a remake of its entire “Rollercoaster” pilot episode in song) to outlandish, multi-length adventures (like meeting up with the Avengers or traveling around the world in one day). Phineas and Ferb is proud of its heritage and celebrates its uniqueness in a way that few series actually do until their conclusions. There are quite a few of these many specials that would have served as satisfactory finales, making the countdown to the real finale quite exciting (and admittedly bittersweet). Perhaps more than anything, though, what makes Phineas and Ferb special is its surprising depth. Animated television shows are not required or expected to be anything more than fun entertainment. Rarely do they try to challenge the audience to be better people, and rarer still do they succeed in doing so. Phineas and Ferb did that. What could have been left to be a memorably funny show was taken farther simply by analyzing its canvas. In a show taking place during summer, summer itself became an important motif. As characters, Phineas and Ferb are inventive individuals who maximize the potential that each day of their summer vacation holds. They are not content to sit around and waste their time, energy, or ideas. They do stuff, and they share it with others. That’s the core of what this show brings to its audience, and it’s appropriately parallel to Walt Disney’s own “Keep moving forward” philosophy. The message is sometimes blatant (like when the cast caps off an episode by singing a tune called “Carpe Diem”), but that’s ok. It gets the point across all the more. And as that song’s lyrics state, every day’s a brand new day. On this one, we say goodbye, and allow these characters to do what they’ve been teaching us all along: to go out and dream. The series finale of Phineas and Ferb is entitled “The Last Day of Summer.” It airs at 9 p.m. EST on Disney Channel and Disney XD. What is your favorite ‘Phineas and Ferb’ memory?